In today’s fast paced world, where deadlines and curriculum demands are tight, we have less time for important and fun pursuits such as creative writing. Studies show creativity is linked to academic achievement and that creativty can be taught. This blog will explore the ‘what’ and the ‘why’ of creative writing. 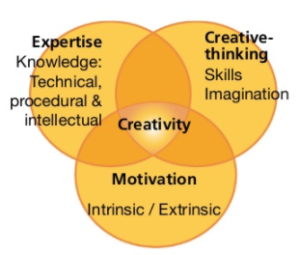 In addition, we will also examine three major components of creativity. I will then provide some practical activities for you to try with your students and present a simple case study from one of my own classes. First of all let’s look at some definitions of the word ‘creative’. On researching what Creative Writing is, you will see it is often defined as the writing of fiction. This can be expressed in stories or poetry and can be also used to form movie scripts, write songs or even speeches. Contrast this with writing a news article or describing a graph. These cannot be seen as being creative as the main concept is the delivery of facts which do not convey the feeling of the writer or require imagination. The main goal of creative writing is to entertain and elicit emotions from the audience. It is not used to inform the reader of facts unless of course these facts are made up. Creative writing is an excellent opportunity for students to make things up and express themselves originally to an audience. Teenagers like to make things up and often want to express themselves but can feel self-conscious when asked to do this orally and ‘in front of the class’. Consideration also needs to be given here regarding the twilight zone. This is a group of topics that teenagers may feel uncomfortable talking about. This usually contains subjects such as relationships, family, crime, health and so on. While these areas may be difficult to speak about orally they can be better represented and expressed on paper. The final work created is usually memorable and can be kept and shown to different audiences. It can also be used to reflect upon and provide a sense of progress further down the line. The pursuit also lends itself to a number of useful techniques for learning language such as the ability to see common repeated errors and correct these appropriately. It also allows students to use the teacher in a different way such as in a consultant role to be used as a dictionary or grammar reference book. The following Venn diagram shows us the 3 three main components of creativity and provides information of how creativity can be taught. We learn to be creative by experimenting, exploring, questioning assumptions, using imagination and synthesizing information. If we look at the 3 components and then examine our own contexts we can see that we are already likely addressing in our classes, but possibly not at the same time. This is where creative writing acts to synthesize the three and build creativity. Let’s examine the 3 parts in more detail in an English as a Foreign language teaching context. Expertise – Knowledge: This is the language that students have acquired in their studies to date. The ability to use grammar and vocabulary effectively when writing a narrative for example. It is also the technical knowledge of writing whether it is the idea of building a story, developing a character or use of simile and metaphor in a poem. Creative Thinking: This is the development of the skills needed to think and act creatively. This could be done in the elicitation of ideas before writing and then questioning these ideas. Questions are asked to build knowledge and provide content. A common example is a brainstorm to elicit ideas but these ideas are usually accepted without question. Introducing a system where questioning of ideas and justification is necessary is a good way to build 21st century skills and creativity. Motivation: A key part of everything we do. Without this we will not get the best results. An audience needs to be provided and real feedback needs to be given to ensure there is a sense of progress and a reason to write. The audience is usually the teacher but we, as teachers, need to be more creative when providing an audience. Could we ask students to review each other’s work? Could we publish in a school album? Could we publish in an online album? Could we record our work and publish as an audio / video version? The ideas are endless are will provide different levels and kinds of motivation for students. I will now finish of the blog with a simple case study and an activity that requires very little preparation but produces lots of output. I taught a class of teenagers aged between 14 and 16 in Bangkok Thailand at a private language school. They were of a good level (B1) and were motivated to learn English. I taught them once a week for two hours on Sunday mornings. I realized early on that although their spoken output was good and prolific their ability to write was lacking somewhat. I wanted to provide an opportunity for them to practice and also provide a sense of progress. I came up with a list of topics and in each lesson we had a 15 minute slot of free writing. The students could choose any topic on the list or one they chose by themselves and then had to write continuously for 15 minutes. I would then mark these in different ways. The first piece produced I marked holistically and gave general feedback on the piece. I commented positively on each individual’s piece whilst making my own notes on recurring errors. The next week I marked the piece explicitly and focussed on recurring errors and addressed these in feedback. The following weeks I looked to make sure the same errors were not repeated and continued to mark both holistically and explicitly. On occasion I would select pieces of work to be displayed around the classroom and we also shared our writing with each other. The students seemed to enjoy this part of the lesson and it was effective in improving their writing skills. It was also useful in changing the pace of the lesson. By having a record and analysing individual errors I was able to make students aware of the importance of error and how it can aid development. By providing a comprehensive list of topics I ensured that student would have suitable topics that they themselves selected. Putting work around the classroom and sharing with other students provided a reason for the students to write. Both are equally important. I tried not to focus on only errors with grammar and vocabulary but also look at how the piece affected the audience and whether it was relevant in terms of context. When I did focus explicitly on errors I let the students know. When looking in their notebooks from the first lesson to the last they could see a real sense of progress. This very simple idea helped me and my students. It’s not rocket science but I often find the simplest ideas are often the most effective. This idea was influenced greatly by Jacosta Von Achten of the British Council, Bangkok. I use the activity to mainly provide writing practice but there is also practice of question forms and a strong element of creativity. It is very student-centred and encourages a great amount of collaboration. I have signposted this using the model of creativity as discussed above. Preparation – Prepare a picture that is likely to stimulate the interest and imagination of your students. Something unusual or with an element of mystery work best. In the past I have used a man talking on a phone with a worried expression or some people walking own a dark lane into a forest. Expertise – This stage can be used to check student’s ability to use grammar and vocabulary effectively. There is also an element of technical knowledge of writing a narrative by using past simple and continuous. Creative Thinking – There is quite a significant amount of creative thinking at this stage. Students only have a picture to look at so need to use creative thinking to come up with questions. Show the picture (a man talking on a phone with a worried expression) to the students and have them work in groups to prepare some questions about the photo. Here are some example questions the students may ask. How old was the man? Where did he live? Who was he talking to? What was he talking about? What was he saying? How did he feel? Why was he looking worried? When the students are working together monitor and help with the question forming. Provide advice and correction if necessary. If students are struggling to think of questions, provide prompts. When you feel the students have produced enough questions ask students to ask you the questions orally. Expertise – Again this stage can be used to check student’s ability to use grammar and vocabulary effectively. Creative Thinking – As before there is creative thinking is utilized at his stage. Students have the picture to look at and need to respond to questions from their peers. Motivation – At this stage students are motivated by answering questions from each other. The motivation to provide their own content is great and you will see a shift in classroom dynamics at this stage. When you receive a question from a group ask another group to answer. When they answer (using their imaginations) write their answers on the board. When you have exhausted all the questions, have the students work in pairs and tell a story to each other based on the answers given. If they want to change any details tell them that this is fine. Change pairs and have the students tell their stories again. Expertise – This final stage provides you and your students with clear evidence of students’ ability to check student’s ability to use grammar and vocabulary effectively. We now look at other expertise particularly in constructing a narrative. Creative Thinking – As before there is creative thinking is utilized at his stage. Students are now required to put all the information together in a coherent story. Motivation – At this stage students are motivated by producing their own content and showing their stories to each other. Other motivation can be provided by you in terms of selecting other audiences to view the work. This could be done by posting on social media sites etc. Now change pairs again. This time ask them to write the story they have told together. Monitor and offer advice and help if necessary. Stick the finished stories on the walls and encourage students to read each other’s and comment. I hope that you find the blog useful and it inspires you to try out some creative writing techniques with your students. Del Spafford is the Regional teacher trainer and academic consultant for Macmillan Education, Asia. He has been working in ELT for over 20 years. 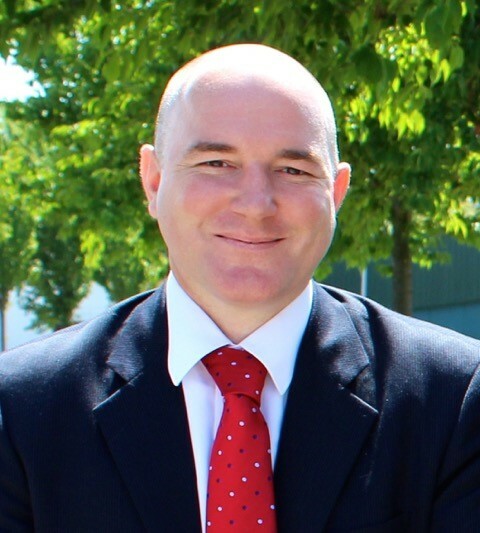 His experience includes 11 years with the British Council in Thailand, where he has planned and delivered teacher professional development in a variety of contexts including both private and public schools. He is a passionate educator and publisher and thrives on integrating research-based methods and ideas into courses and supporting teachers to implement effective learning strategies in the classroom.